As we remember the horrific events of September 11, 2001 we remember a poem. In the aftermath of 9/11 people turned to poetry to express their anger, their grief, their disbelief at the madness of it all. One of the poems that people turned to in those uncertain times was a poem written by W. H. Auden. The poem was written in September...1939. The poem, September 1, 1939, marks the onset of World War II and first appeared in The New Republic the following month and in book form in Auden's 1940 collection of poems, Another Time. The poem echoes the W.B. Yeats poem from another war, Easter, 1916 that brings to life the Easter Rising in Dublin, Ireland. Auden's poem earned the poet acclaim, especially for the line, "We must love one another or die." That line, "We must love one another or die" troubled Auden to no end and he omitted the stanza that includes the line in his 1945, The Collected Poetry of W. H. Auden. The poem never again appeared in Auden's collection of poems. He amended the line for The New Pocket Anthology of American Verse in 1955 to read, "We must love one another and die" before disowning the poem altogether and refusing to allow it to be anthologized in any form. The poem returned to the public consciousness in President Lyndon Johnson's famous 1964 Daisy television commercial which shows a young girl picking petals off a flower before a mushroom cloud goes off as Johnson's voice warns that, "We must love each other, or we must die." It is coincidental that the commercial came out months after Auden's famous elegy for Johnson's predecessor, President John F. Kennedy. 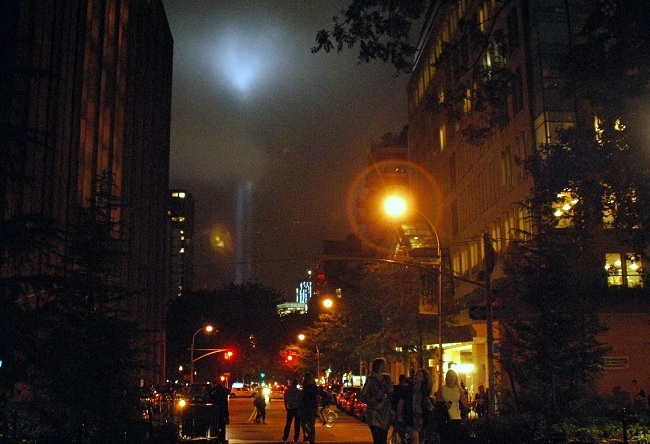 In the immediate aftermath of 9/11 National Public Radio began referencing September 1, 1939 on its airwaves with stanzas omitted that did not reflect on the events of September 11, 2001. Major newspapers across America reprinted the poem in its entirety within their pages and the poem became a popular topic in online forums as people tried to make sense of what they could not make sense. America had turned to poetry for answers. Thanks Alan! I read your heart-stirring 9/11 poem and would like to have it appear within these pages.